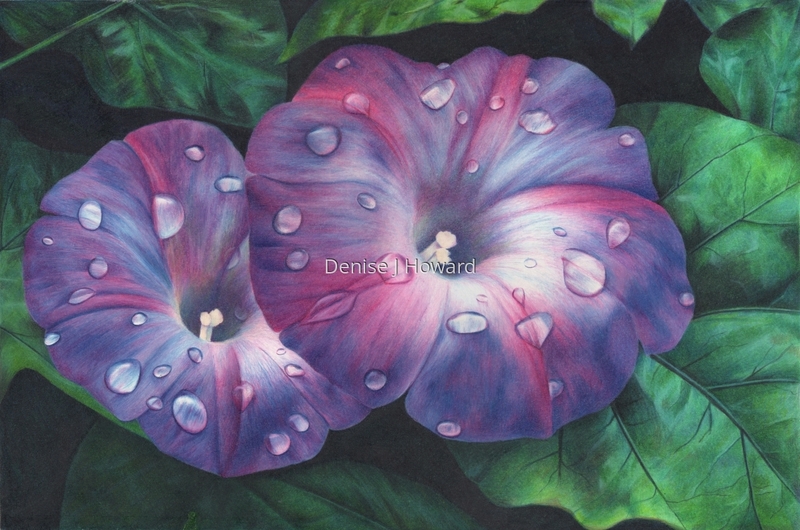 As if the subtle yet bold colors of morning glories weren't fascinating enough, these also had raindrops on them. Colored pencil on hot press illustration board. 5" x 7.5"9" x 13.625"13" x 19.625"